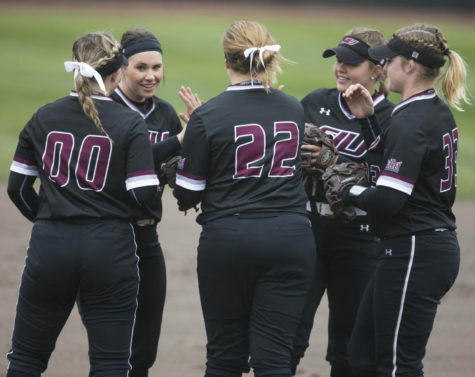 On Black Out Cancer day for SIU softball, both teams’ offenses got blacked out in one game each. 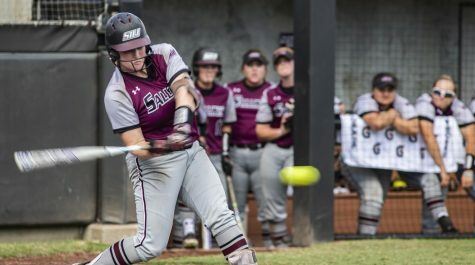 The Salukis earned their ninth doubleheader split of the season, losing the first game against Indiana State 3-0 then winning the second 8-0. Sycamore sophomore pitcher Bailey Benefiel was lights out in the first game of the day, throwing a three-hit shutout, her second on the season. Benefiel pitched to contact all day. The sophomore struck out just one batter and her defense backed her up with a perfect game in the field. The Salukis’ (25-14, 8-5 Missouri Valley Conference) defense was not as stellar. 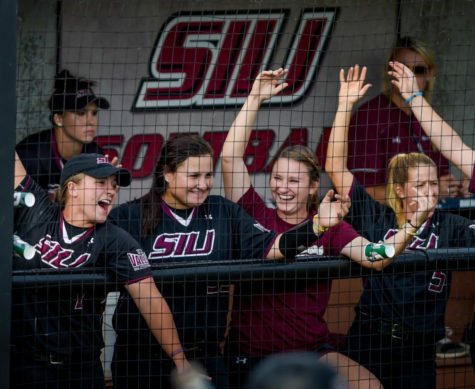 Indiana State (10-28, 4-8 MVC) bunted nine times in the contest, forcing SIU to make defensive plays, resulting in four errors. 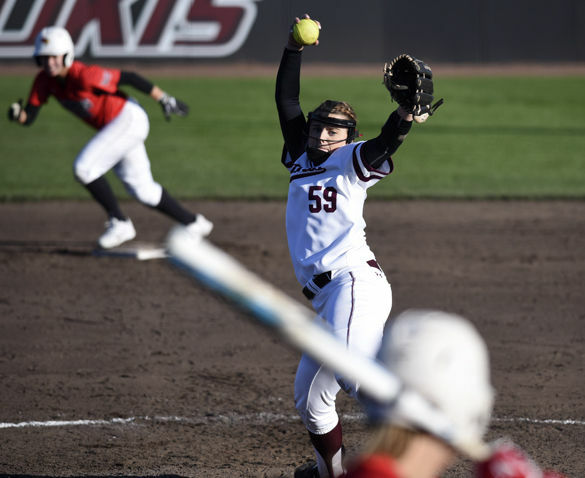 SIU starting pitcher Brianna Jones (18-7, 1.88 ERA) tried her best to limit the Sycamore damage, allowing seven hits and just one earned run, but still picked up the seventh loss of her freshman season. 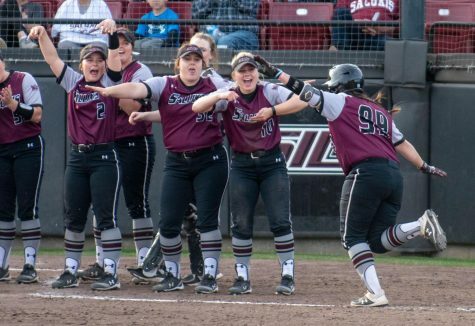 Even when the Salukis had runners on base, they were unable to make anything out of it. 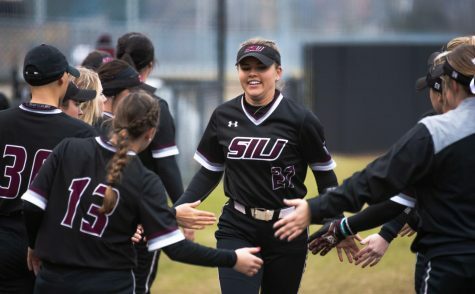 SIU went 0-8 in the game with runners on and 0-5 with runners in scoring position. 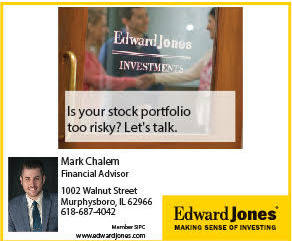 As is often the case, capitalizing on opportunities made the difference — the Sycamores were 3-9 with runners in scoring position. Benefiel started the second matchup as well for Indiana State, but was not as successful. The Dawgs got as many hits in the first inning off Benefiel (8-22, 7.45 ERA) as they did all of Game One to create three runs, including a two-RBI double by reigning MVC Player of the Week, sophomore right fielder Jessica Heese. 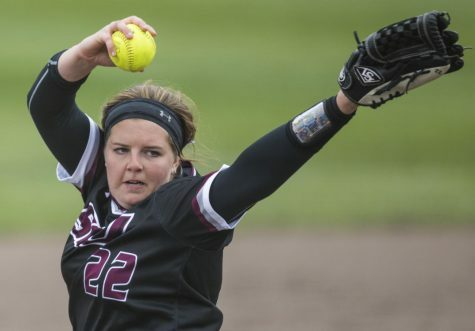 Meanwhile, Saluki starter Savanna Dover (6-6, 3.56 ERA) was dealing. She threw her third shutout of the season, allowing just two hits across six scoreless innings. “I was just focusing on pounding the zone and throwing strikes while I mix my pitches,” Dover said. 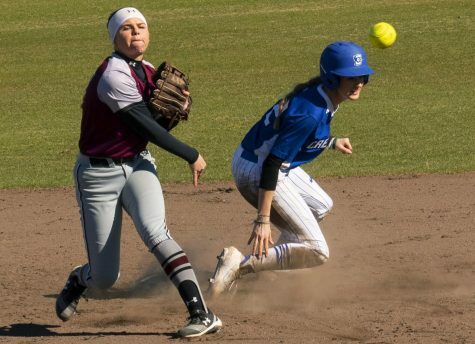 After SIU tacked on two more runs in the second on a bloop single from sophomore third baseman Sydney Jones, 2015 All-MVC second team senior pitcher Taylor Lockwood came in to pitch for the Sycamores for the first time this season. Lockwood had missed the beginning of the season because of an injury that coach Shane Bouman would not specify. 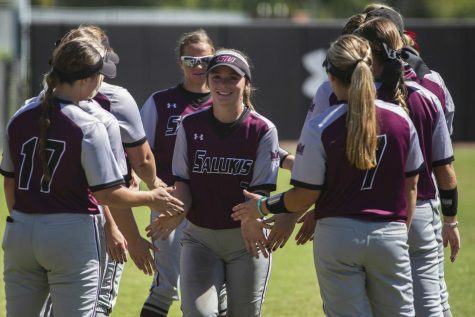 Lockwood was stellar in her season debut, retiring 10 Salukis in a row at one point. She allowed one run on a single hit across her four innings. Sophomore Rachel Overton came in to pitch the sixth. Heese, freshman designated player Hanna Porter and junior center fielder Merri Anne Patterson scored on three hits coupled with two Sycamore errors to finish the game by run rule. 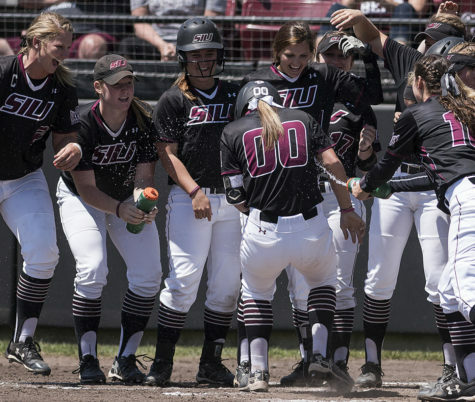 SIU and Indiana State will finish its three-game set noon Sunday at Charlotte West Stadium.